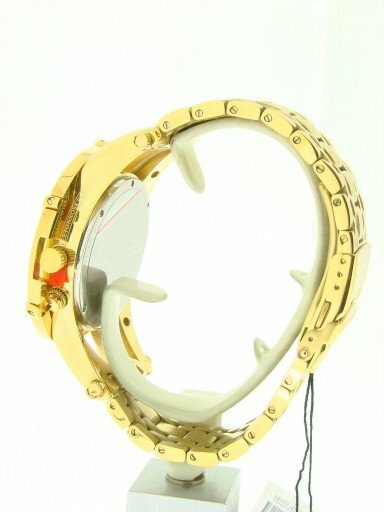 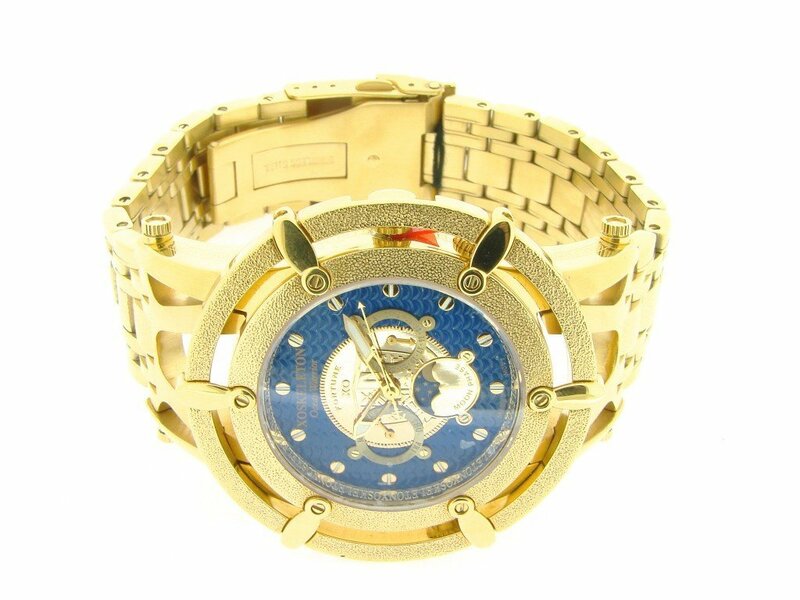 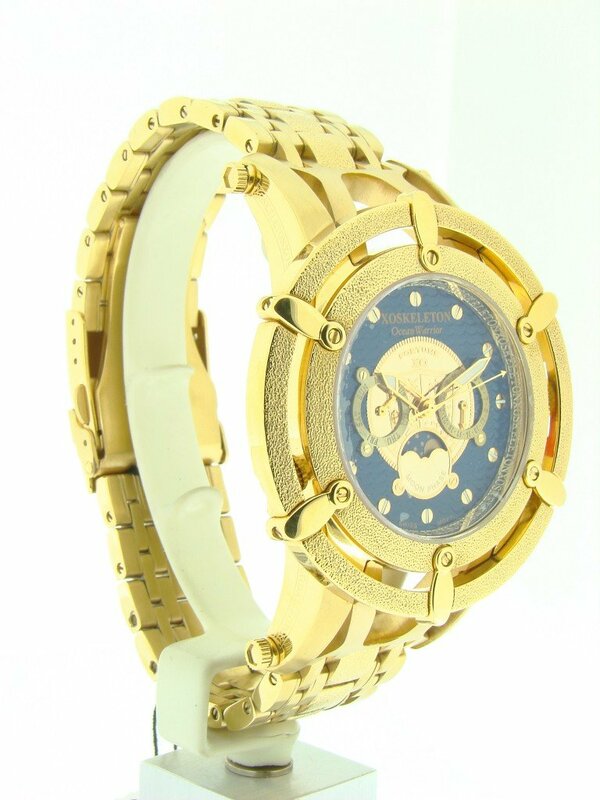 BeckerTime is proud to offer this amazing 100% GENUINE FACTORY ORIGINAL XOSKELETON timepiece. 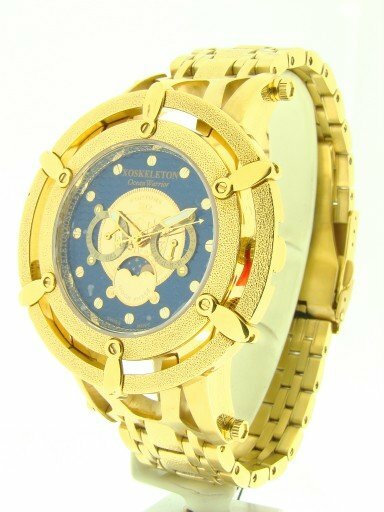 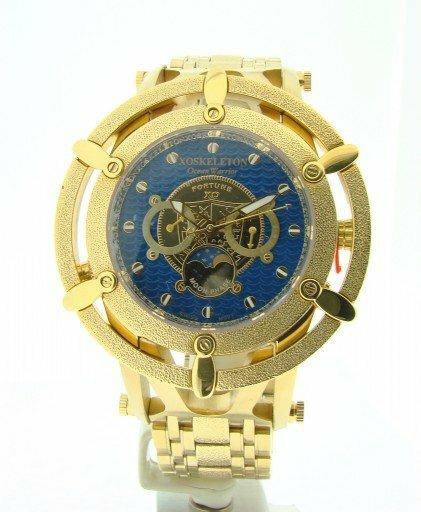 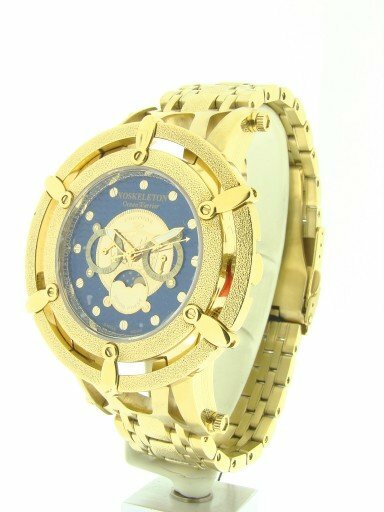 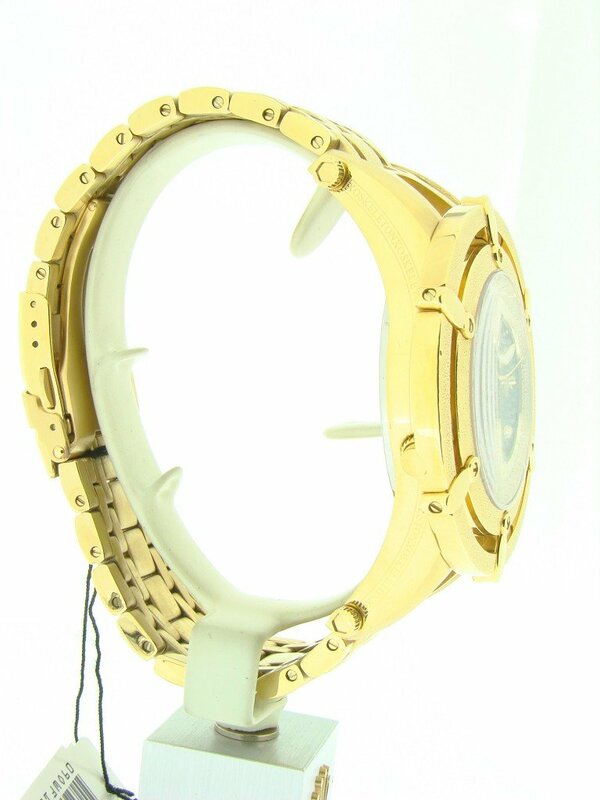 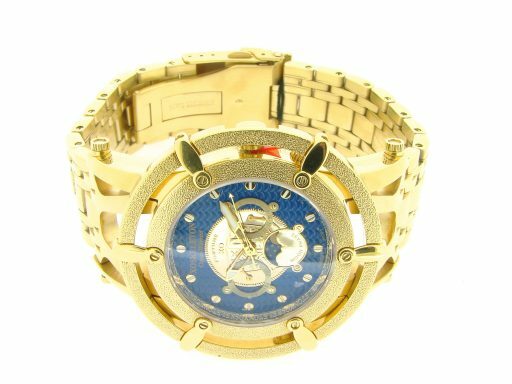 It is a Mens XOSkeleton Yellow Gold Blue Ocean Warrior Fortune Moon Phase Watch from the 2000s that is guaranteed to impress. 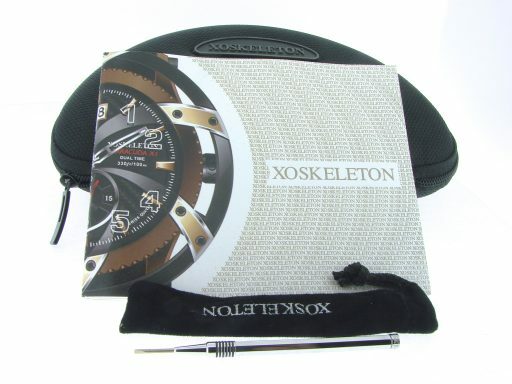 The watch comes in its original box and original certificate!This is a very limited edition production timepiece (No. 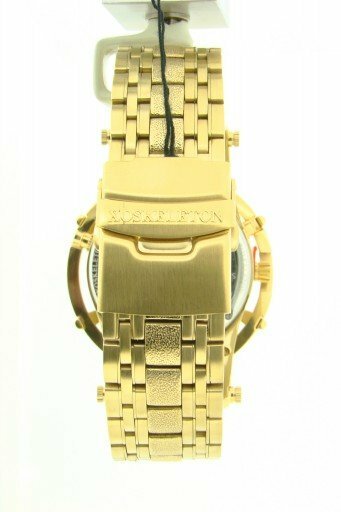 017/888)! 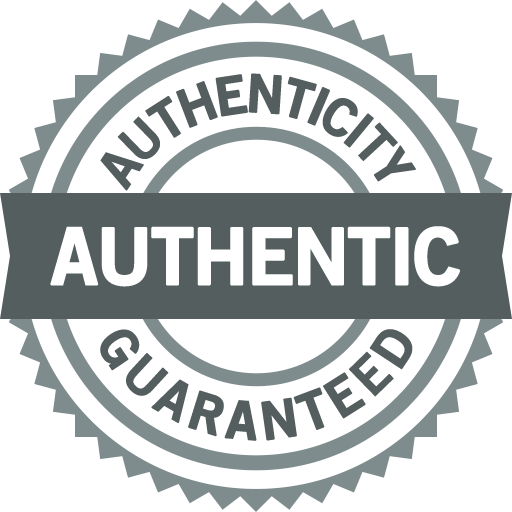 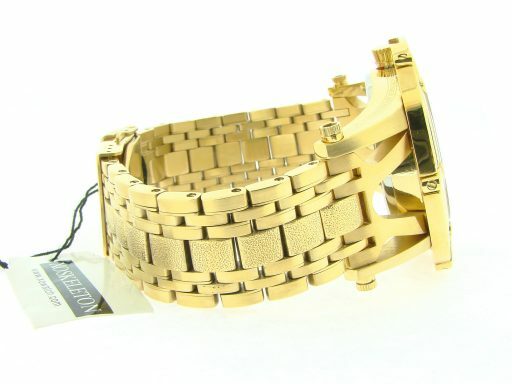 It is in BRAND NEW CONDITION and comes with the Beckertime 1 year warranty & 100% lifetime trade-up guarantee! 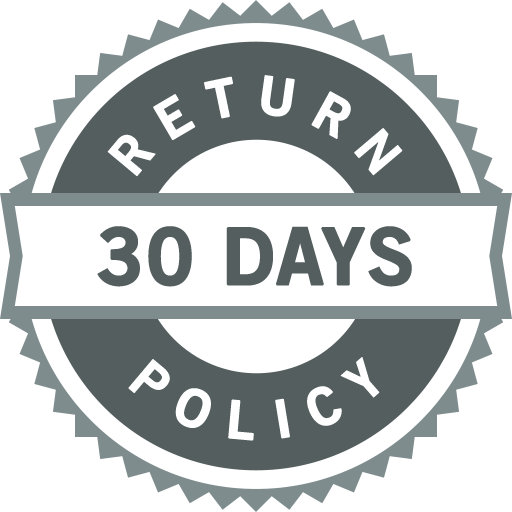 Don't let this one get away…Buying a 100% genuine XOSkeleton in this good of condition at this price doesn't happen often…This type would sell brand new for $1,495 plus tax today. Dial Original XOSkeleton blue 3D wave dial with doubloon XO coin in the center is in brand new condition. The dial has three raised sub-dial, as well as a day-date, and moon phase. 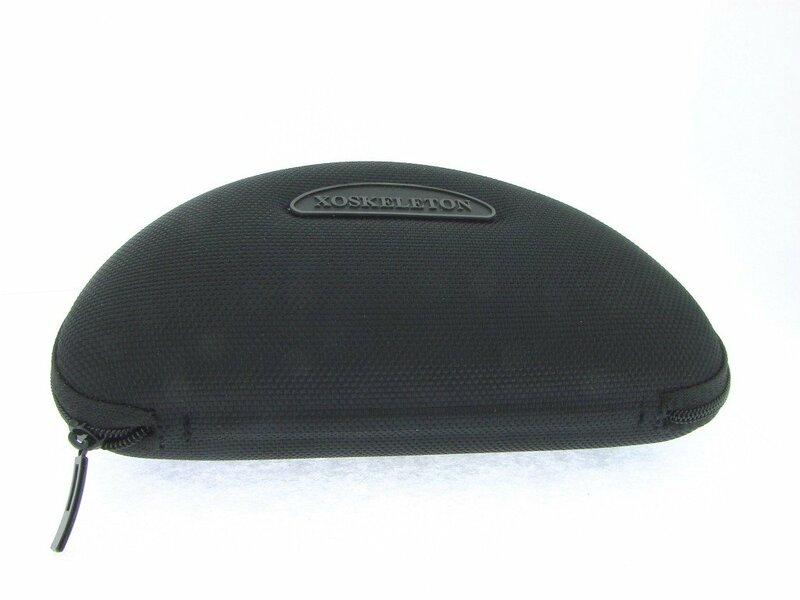 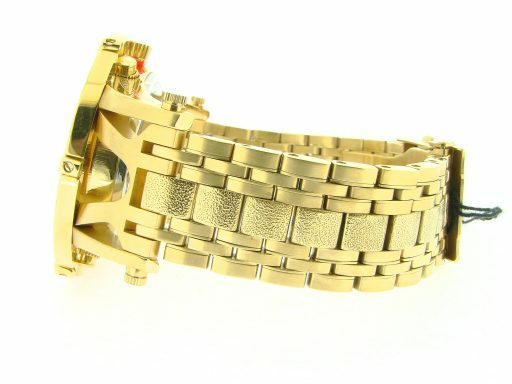 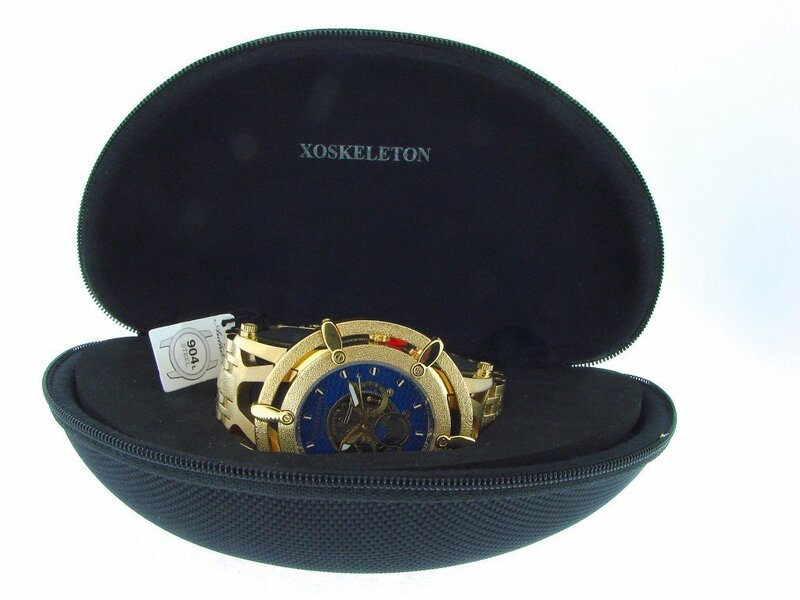 Case Original XOSkeleton 904L goldtone stainless steel case is brand new.